The all-new chat community where Rock users, people exploring Rock, database admins, and seasoned community members can meet to talk shop. 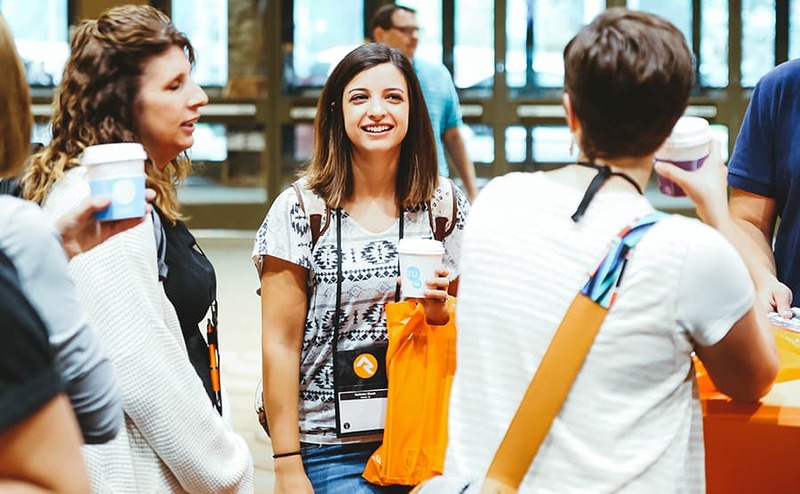 If you work with Rock at your church, join the conversation! 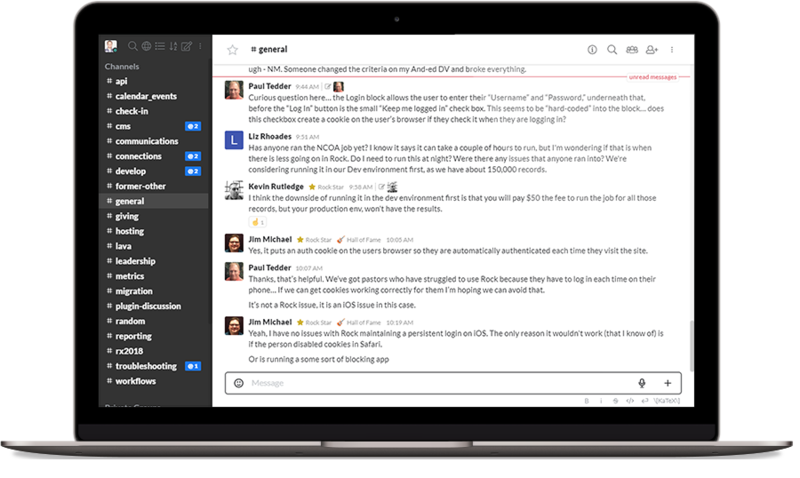 Rocket Chat is the next generation chat platform for the Rock RMS community, and will replace Slack. 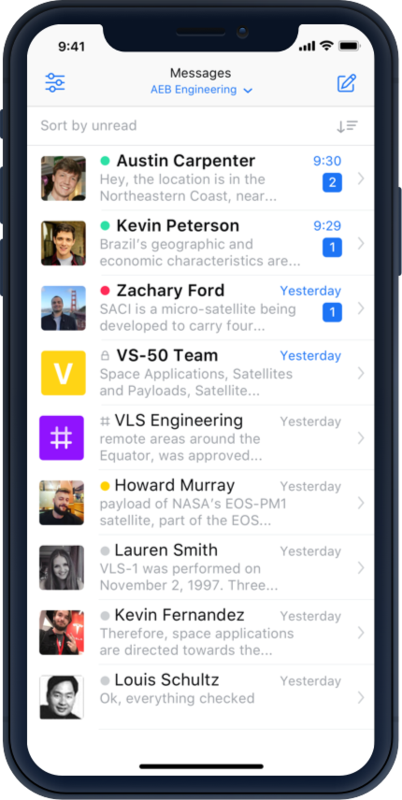 With Rocket Chat, you'll never lose a message or screenshot again, because everything is integrated with your Rock RMS login. To login use your Rock password for online and desktop. On Mobile you'll need to use your RocketChat password and the Rock Chat server address, both of which you can find below. To access Rocket Chat using a mobile app login to see your Rocket Chat username and password for your mobile device. Otherwise, log in using your Rock RMS username and password.